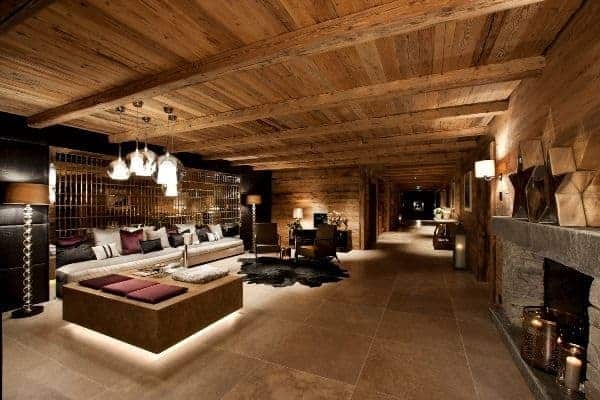 The best in exclusivity and luxury is offered at this vast and 6-star alpine residence situated in Oberlech, offering picturesque and panoramic views of the world-famous Arlberg massif and its un-spoilt stretch of white slopes. 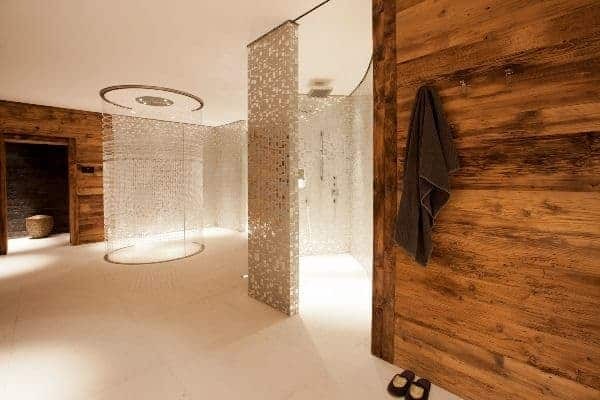 Located in one of the most beautiful corners of the Alps – 110 km north of Innsbruck – this former Schlössle (little castle) is a refuge of profound peace and deep relaxation. 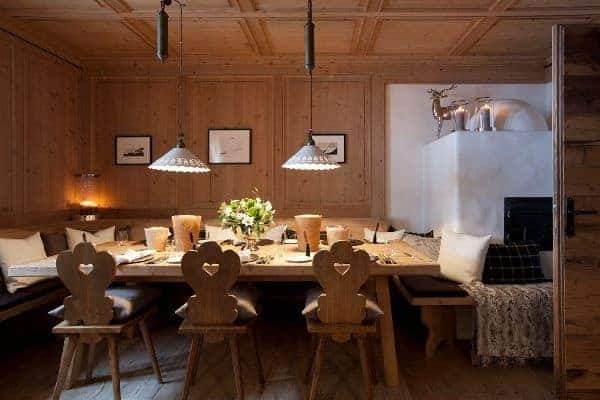 Within the modernity, spaciousness and service represent the highest of quality and this mountainside destination overlooks the low-profile resort of Lech and enjoys completely unobstructed views of the Austrian Alps. 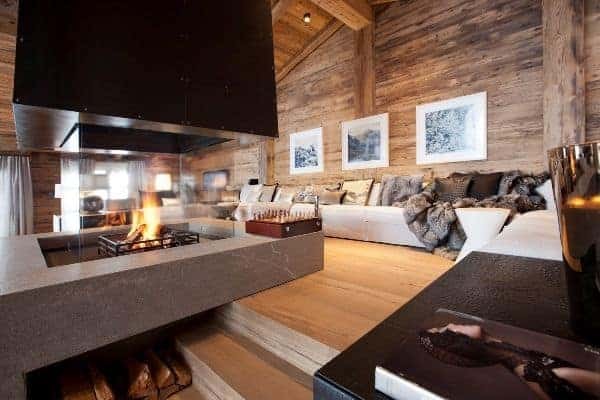 In the winter visitors are guaranteed snow and access to 350 km of pistes and throughout the summer the mountains offer an inexhaustible range of hiking and biking trails. 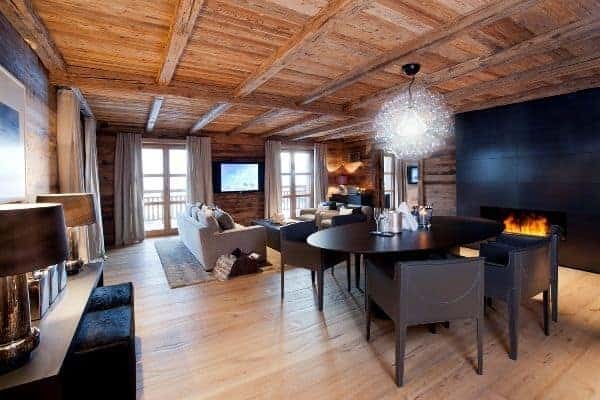 This authentic alpine chalet has been transformed into the ultimate of refurbished, private homes. 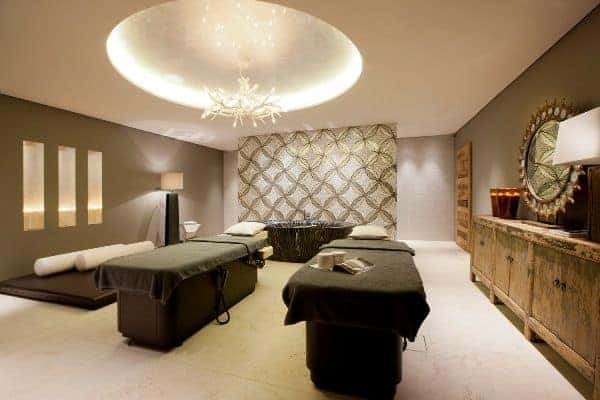 Its interior is graced with charm and genuine warmth and the ambience is enhanced by the tastefully modern interior design and overwhelming space. 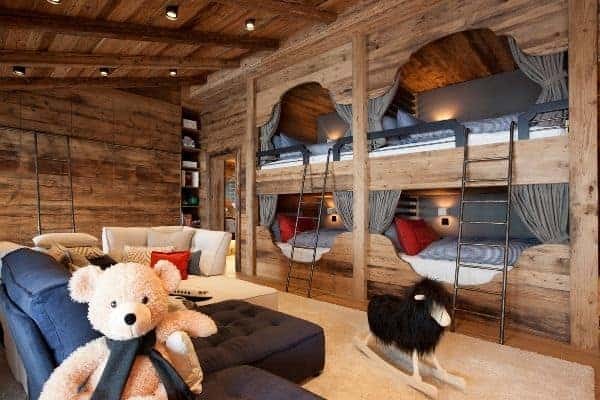 The attention to detail will satisfy the highest of expectations. From the moment you enter the extravagant entrance hall, you will find the sheer scale, elegance and harmonic arrangement of living spaces mightily impressive. 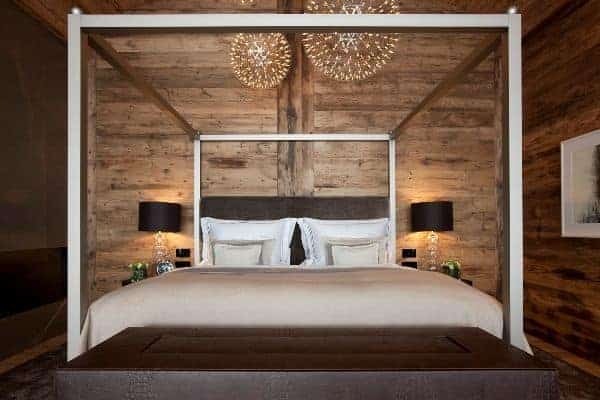 The quality of craftsmanship is as admirable, particularly the incorporation of local natural materials in the interior design and the state-of-the-art features that include an audio-visual system with media hub and 3-D television, Wi-Fi and floor heating. 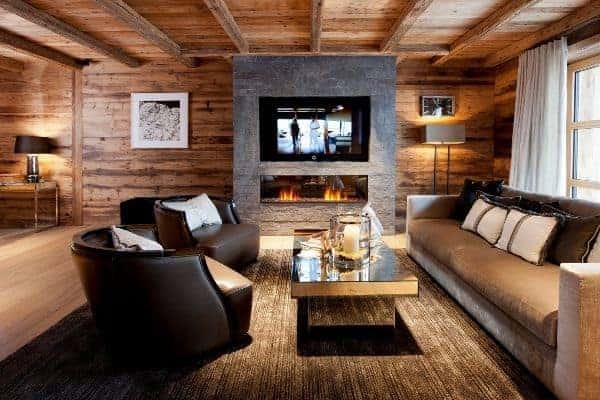 Traditional alpine warmth is supplied by the richness of antique wood-clad ceilings and walls and the blaze from open fireplaces. 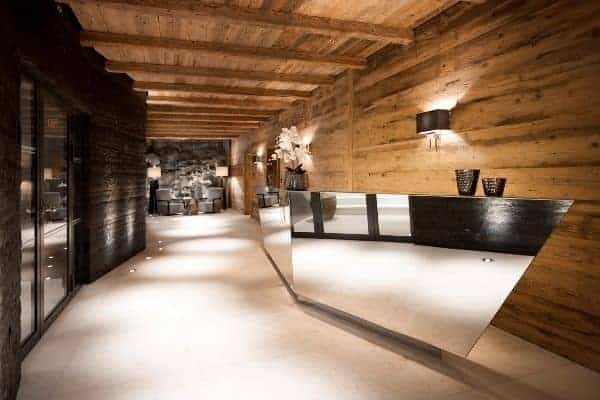 An immaculate private spa is more contemporary; arranged to include an indoor pool, 2 saunas and a salt mine steam bath. 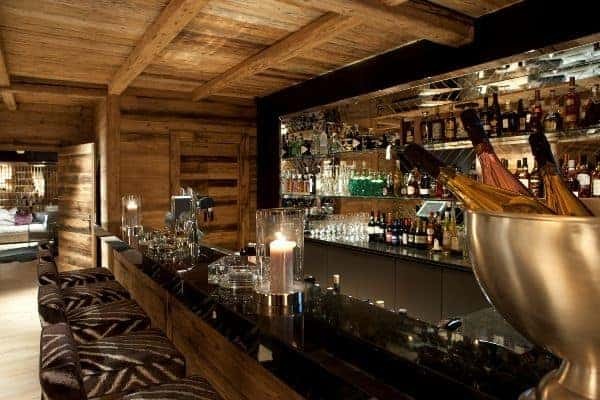 When you throw into the mix a well-stocked bar, a cigar lounge, a wine cellar, a cinema and an enticing children from playground suite, it is evident why this property much sought-after. 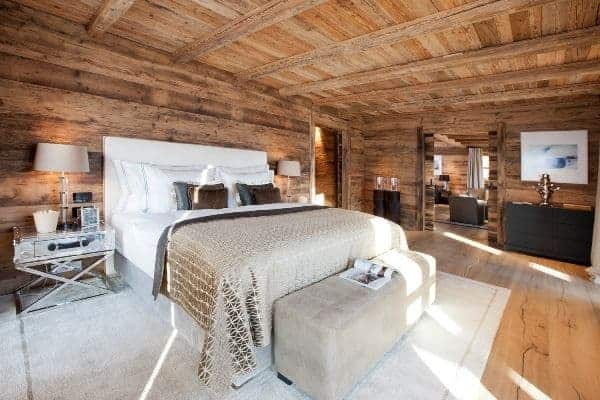 Stunningly arranged over 5 floors the chalet is able to accommodate up to 22 guests (18 adults and 4 kids in a bunkroom) in 8 stylish and finely furnished bedrooms en suite with private balconies: 7 are king-size doubles and 1 is a master suite that comprises a small bedroom suite, a children’s suite, living room and master bedroom en suite. 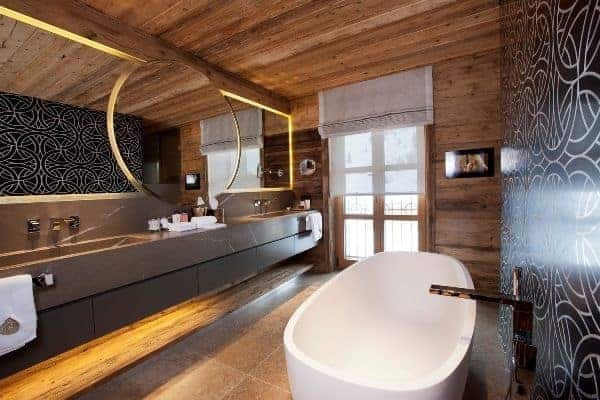 Each private suite has sitting and dressing areas and bathroom provisions are top-of-the-range. A butler is on hand to ensure your every comfort and a team of chefs will satiate every appetite with high-class international and traditional Austrian cuisine, with meals served either in the chic dining area that is lined by an imposing bank of floor-to-ceiling glazing opening out to the terrace and majestic alpine scenery, or in a traditional ‘stüberl’ that’s great for fun fondue evenings. 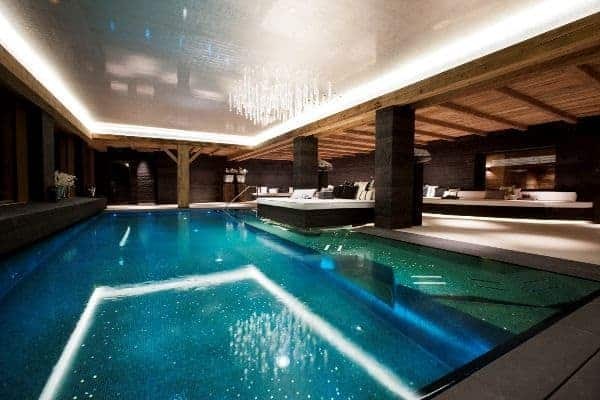 Afterwards, you may work off the calories with techno-gym or do a few laps in the swimming pool or aid digestion at a more relaxed pace by submerging yourself into either of the two outdoor Jacuzzi. 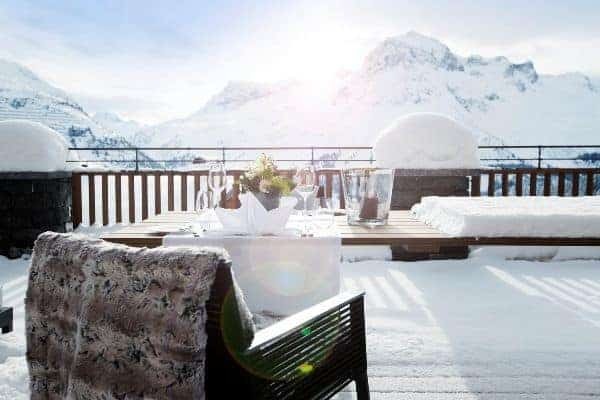 On sunny days, at any time of the year, you can lounge on the outside terrace, which is a fabulous spot for soaking in the rays of clear sunshine, lunching al fresco and gazing at the sheer beauty all around; morning, noon and night. 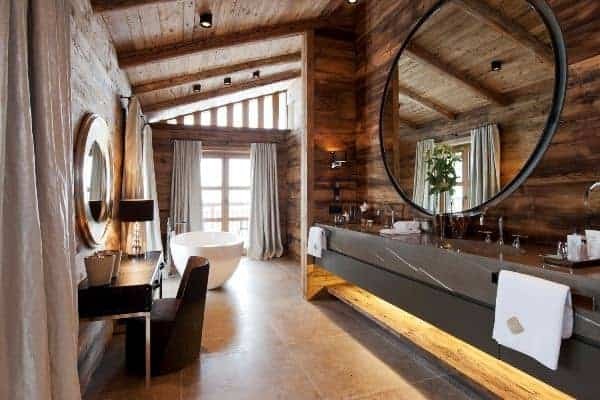 Offering incomparable luxury, space, service and comfort, this extraordinary chalet is one the most elegant destinations and full of breathless surprises. 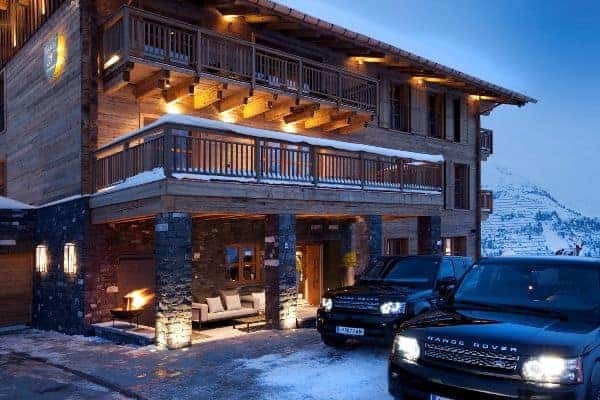 It is ideal for the most special of holidays with family, other families or a large group of friends. 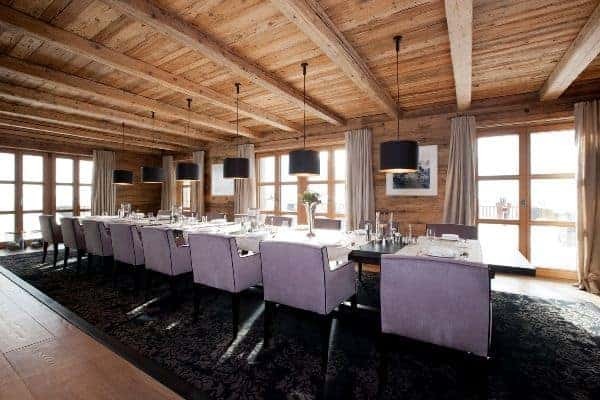 The outstanding chalet is ideal for hosting also special family celebrations, reunions and top-notch corporate events.